Hi everyone and welcome to the Clique Kits October Pep Rally! You should have arrived here from Carolina. If not, you can start our line up overhere at the Clique Kits blog to not miss any of the awesome projects! The challenge this month is to show why I'm glad to live in a world where there are Octobers. Now here's a big issue, because I'm not so glad to live in a world where there are Octobers. I blame it to the country I live in as we have mostly horrible Falls and Winters. I'm SO NOT made for these seasons and I'm pretty sure that I'm born in the wrong country! I can't wait until Spring and Summer are on their way and having long days filled with sunshine again. So what to do with this challenge? As you might know, I just returned from an awesome California road trip and the weather overthere is perfect for me, I can handle the heat very well. So I decided to use a picture taken in California, where I would probably be very glad to live in a world where there are Octobers! Of course this one is taken in San Francisco at one of the cable cars. Thanks for stopping by today, your next stop is Sophie. Awesome LO! Love these bright colors! 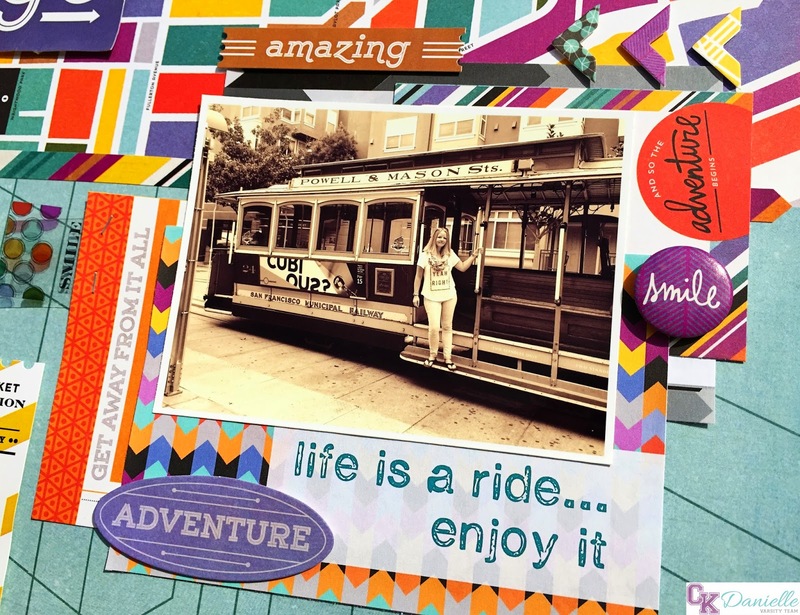 Love how vibrant this layout is Danielle! love your layout, love how vibrant and bright it is. I love how you used all of the different patterned paper! cute layout, danielle! i love all the mix of patterns!! 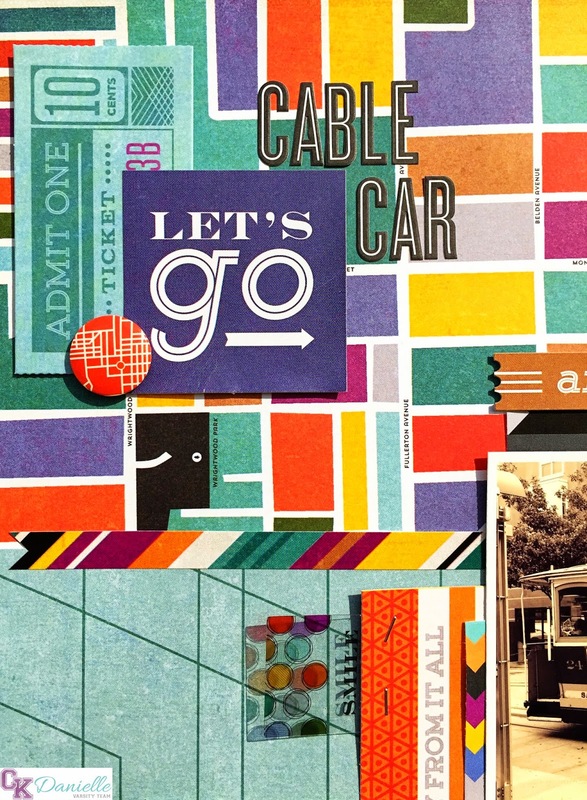 Love your layering and use of patterned paper! Your layout looks beautiful! This layout is amazing Danielle!! I love the way you used the BG collection!! 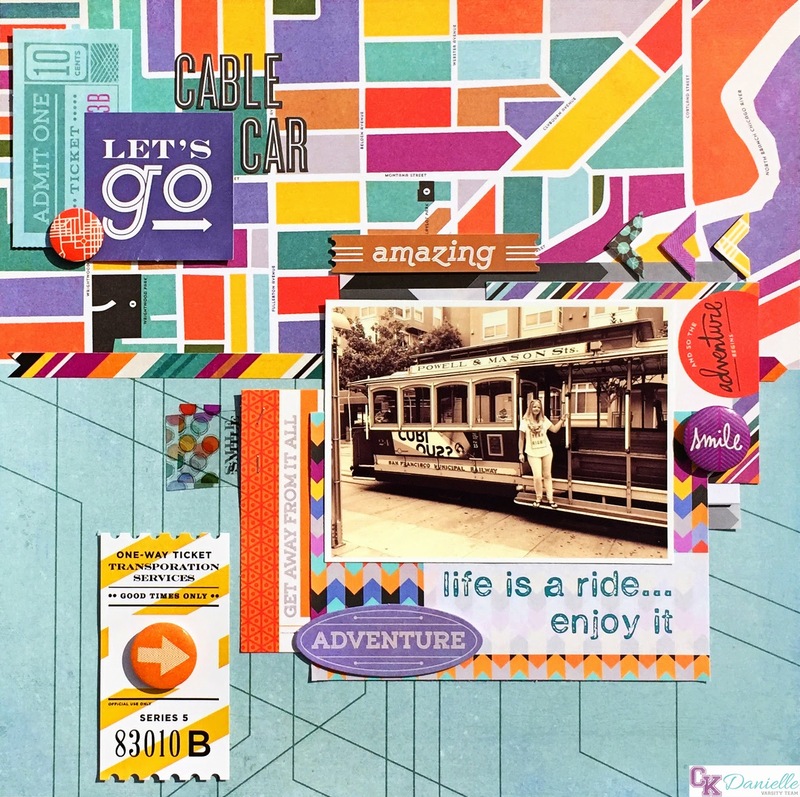 You really know how to mix patterned papers, this layout is stunning Danielle! Awesome layout Danielle! Love the sepia tinted photo with those bright pattern papers. You rocked this kit! Your layout is so bright and full of energy! Perfect paper to go with your trolley picture. Love that cable car pic! Great details and layering on your lo! TFS!! No way!!! Cable car pic & that map paper!! Eeek LOVE!!!! Seriously perfect combo Danielle! 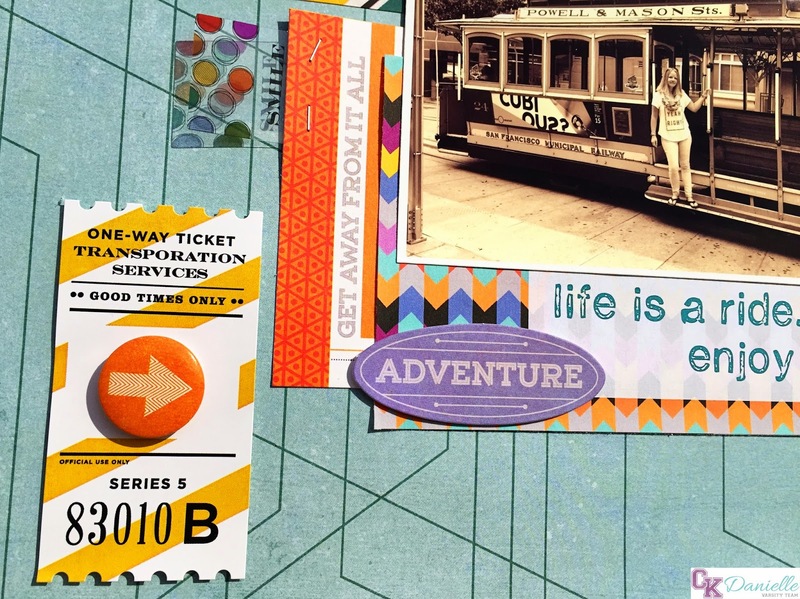 The street map paper is one of my favs in the kit! Love the way you worked it Danielle! I really love how you used these papers to go perfectly with that picture!